Born in Jedburgh, Scotland, in 1780, Mary Fairfax seemed an unlikely candidate for academic success. Her family felt the only education necessary for a young woman entailed the simple writing, reading, and math skills needed for housekeeping. Becoming bored, she decided to teach herself Latin; a friendly uncle helped her read Virgil. After seeing several mathematical puzzles in a magazine, Fairfax became intrigued by algebra. Upon hearing her brother’s tutor discuss EUCLID, she became determined to read the text herself. Her parents were appalled that she would undertake such an unfeminine task and hid candles so that she could not read at night. Her response was to memorize the text and solve the problems in her head. Fairfax’s first marriage stifled her academic interests. It was only after she was widowed three years later that she resumed her interest in mathematics. Her next husband, Dr. William Somerville, supported her work and even aided her research. Their home became a meeting place for many of the British intellectuals of the time. Eventually, a friend persuaded her to translate the work of Pierre­ Simone Laplace, a famous French mathematician who studied astronomy, as well as ISAAC NEWTON’s Principia. English science had been stagnant for several years and out of touch with advances made in the rest of Europe. Somerville’s task was to render the text so that it could be read in England. She reluctantly agreed to the challenge, unsure of her abilities and training. The resulting book, The Mechanisms of the Heavens, went far beyond simple translation. Published in 1831, Somerville included extensive annotations that explained the material in clear, concise language. She went on to write several other books that sought to bring together mathematical and scientific knowledge in understandable prose. These included The Connection of the Physical Sciences in 1834 and Physical Geography in 1848. Somerville remained active in mathematics and science throughout her life. Her last book, Molecular and Microscopic Science, was released in 1869. She regretted her lack of formal education and strenuously advocated for women’s rights. Somerville died in Italy in 1872. 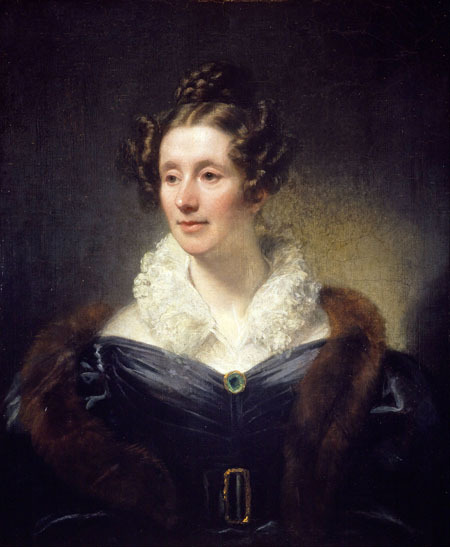 Mary Somerville’s writings enabled countless English­ speaking people to understand the scientific and mathematical discoveries of her time. During her life, Somerville’s work sparked new interest in science. Her books were popular reading among the educated. The clarity of her style allowed readers to understand many technical aspects of astronomy and physics. Her Mechanisms of the Heavens, although not an original work, immediately rekindled interest in astronomy in England. This encouraged her to write The Connection of the Physical Sciences. Not only did she construct a clear definition of physical science, she also described the interrelationships between science and mathematics. John Couch Adams, an astronomer of that time, credited his 1846 discovery of Neptune to a statement in this book. Soon after its publication, Somerville became one of the first women inducted into the Royal Astronomical Society. As a woman she was barred from many scientific activities, but her stature caused others to question the validity of such an unequal system. She was recognized by the Royal Academy of Science, but the all­ male membership did not go so far as to offer her membership. Both directly and indirectly, her influence opened doors for other women into the halls of science. Somerville tutored Ada Byron (daughter of the poet Lord Byron), later to become Countess of LOVELACE, who is credited with writing the first computer program while an associate of CHARLES BABBAGE. Long after Somerville stopped writing, her books inspired and educated many. Her texts were required reading for advanced students at Cambridge. A women’s college at Oxford University is named after her. Without her influence, it might have been many years before England’s scholars became acquainted with the advancements made by others. Through her writing, Somerville enabled many others to understand physical science and higher mathematics.